In 1931, the Bonnet Carre Spillway was completed and controls floodwaters from the Mississippi River to flow into Lake Pontchartrain and then into the Gulf of Mexico. The Spillway is definitely a site to see and this weekend you have an opportunity to join the Spillway Classic Trail Run. 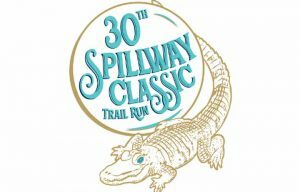 The Spillway Classic Trail Run takes place in the Bonnet Carre Spillway on Sunday, July 16, 2017 at 7am. The Race starts and finishes at the boat launch with a total distance covered of about 3 miles, depending on the trails on the day of the race. There will be cash awards presented to top finishers, as well as commemorative awards for top division finishers, and muddiest male & female participants. The finish line post-race party includes FREE beer for registered participants 21+, plus food and beverages from Kentwood Springs water, beer from Crescent Crown Distributing, jambalaya from Jambalaya Girl, and snacks from Elmer’s CheeWees and Love, Cookie. If you are a runner, you will really enjoy this unique Louisiana trail with a unique view. If you are not interested in running, you may still enjoy going out the the Spillway and cheer on the other runners while enjoying the view. Click HERE to find out more information.